$69.99 with FREE (Domestic U.S.) Return Shipping! 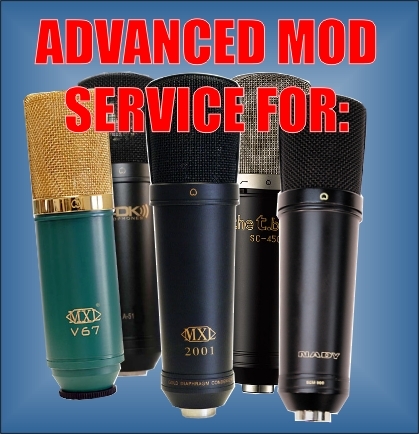 This deluxe mod service, for any mic that is compatible with our 2001 Mod Kit, consists of the basic electronics mod (we install one of our kits), headbasket mod (we remove 1 or 2 inner layers of headbasket mesh), and body-damping mod (we apply material to the inside of the body to reduce resonance). Refer to the 2001 Mod Kit page for a list of compatible models.